I think I still have my first dress from Evie's Closet in my inventory. It's from 2008. Evangeline Miles has always been one of my favourite designers in SL. And for a few years now she's also been one of my favourite people. Needless to say, when I heard she released a new dress for We ♥ RP, I just had to have it. 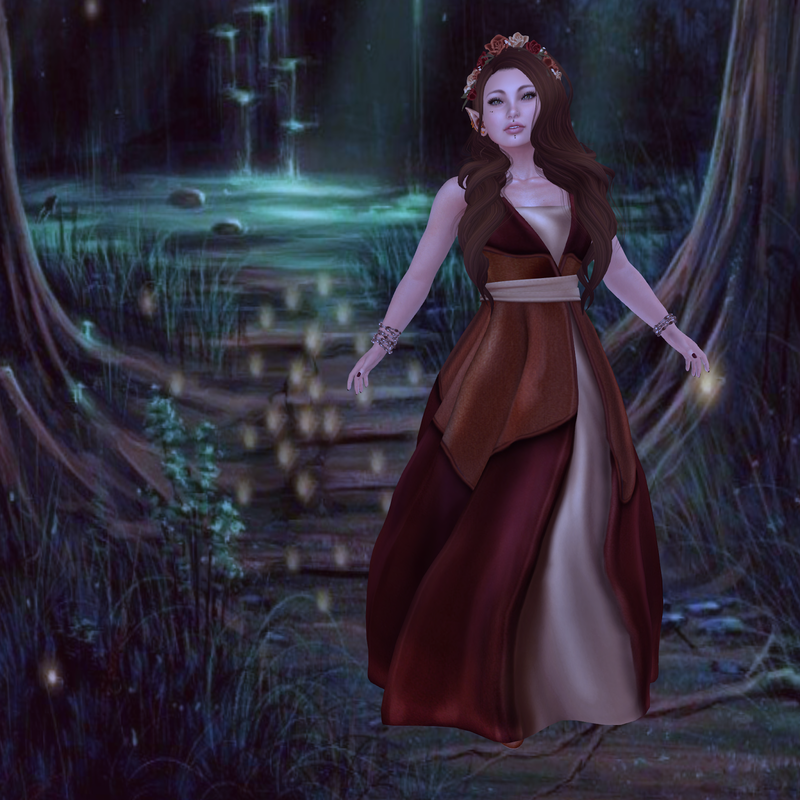 The dress comes in standard sizing, but I was able to fit it on my Maitreya body, with the exception of the lovely sleeves, which Evie warned us about on her blog. The flower wreath comes with the dress.